Radio Frequency (RF) Heating solutions provided deliver faster as well as more consistent drying which is one of the main goals of today's manufacturers. 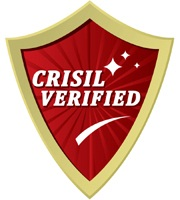 Here, the use of Radio Frequency (RF) drying offers large number of benefits over conventional drying that includes more consistent moisture levels, faster line speeds, smaller equipment base and lower drying temperature. Further, the replacement of conventional dryers with PSC RF dryers has also allowed manufacturers to change from batch processes to continuous processes with drying times that are reduced from 24 hours to 90 minutes as well as from 12 hours to 30 minutes. Further, with Radio Frequency drying as heating is from within, there is no hot, dry outer layer as the product is heated throughout, allowing water in the middle to be heated and move to the surface. Due to heat losses at surface, radio frequency dried products are hot as well as dry on inside and cooler, wetter on outside. Here, the combination of two technologies involving RF heating to heat the inside as well as move the water to surface where conventional methods are effective at removing it also offers comparatively greater potential benefits. 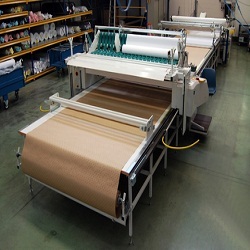 Some end applications these can be used in include for water-based materials like in permanent adhesives, pressure sensitive glues, labels, mailers and packaging materials. Radio Frequency Dryer system utilizes Radio Frequency band of electromagnetic spectrum, in radio frequency dryer the RF fields are generated by RF generator between to electrodes and material to be dried is placed between the electrodes, the RF fields result in molecular momentum and this momentum result in creation of heat. Radio frequency drying systems provides the capability to speed-up the drying process result in shorter drying time. 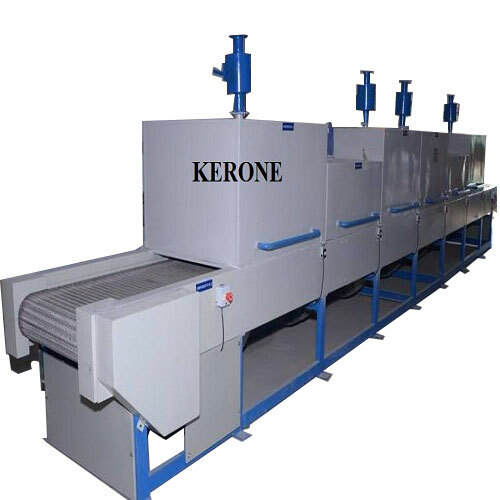 KERONE is holding experience and expertise in providing radiofrequency drying systems capable of providing high volume, high speed and superiority drying, this even exact need on today’s industrial processes to achieve quality output in lesser time. We are holding immense experience in designing, manufacturing, erecting and commissioning various types of radio frequency dryers for varying industries and complexity. 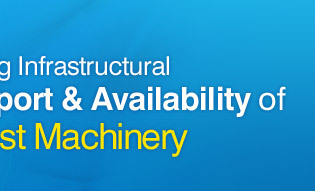 The radio frequency (RF) dryers manufactured in KERONE are strictly as per the defined international standards. Batch Dryer solutions offered provides benefits of preferential heating where it selectively dries products at wettest sections of web. Further, it also allows product output to be uniform in moisture content throughout, regardless of non-uniformity going in. 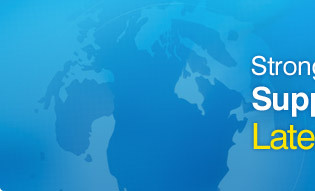 The other benefit includes increasing production throughput where it provides instant ON/OFF control. Further, it also minimizes drying time as rapid volumetric heating helps in eliminating long dwell time which is needed by conventional heating, thus minimizing quantity of product in drying cycle as well as in reducing changeover time. 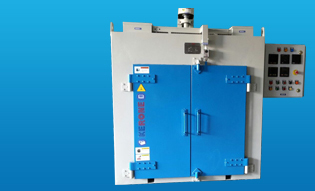 These dryers also help in eliminating the need for accumulation rollers and helps in saving space by generally requiring one-fifth of floor space needed for hot-air and IR dryers. With energy applied by radio waves is at frequency of 40.68 MHz, the volumetric heating also helps in keeping temperatures low as well as uniform throughout web so as to prevent overheating. 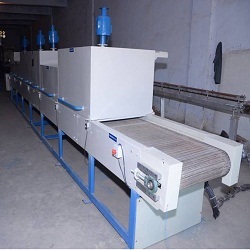 Online Radio Frequency (RF) Dryer offered is a conventional mode of drying textiles after these have been dyed in slow process. Here, textile industries can bring an increase in throughput as well as fill orders more prominently through use of Radio Frequency (RF) Dryers. These RF systems have in them capability to accelerate drying process as well as also shorten production time. Further, these RF drying system also offers High speed, High quality and High Volume drying that is the need of textile industries. The process involves passing wet garments of Acrylic, Cotton, Nylon and Polyester make to pass through drying chamber where radio waves vibrate contained water molecules million times per second, thus vaporizing them. Here, ventilator fans are used for removing damp air from Drying Chamber. For delivering efficient performance, the dryer system comprises 125kW industrial high frequency generator in conjunction with drying chamber which incorporates electrode applicator as well as air extraction system. This makes the system suitable for drying most types of fibers that have prior mechanical moisture extraction in cone, muff, bump or loose stock form.